Situated 20 KMs away from Bhavnagar city Ghogha beach is a place which is very often visited by locals with their family and friends. The golden sand, restless water waves hitting the sand every now and then, the beautiful sunrise and the sunset make this beach a beautiful picnic spot. But when it comes to be a tourist destination we wouldn’t suggest you plan and be here because there aren’t any amenities available which could make a visit to this place actually worth all the time and effort. Natural beauty, peace of mind and happiness is what this beach can provide anyone who chooses to come here nothing else. 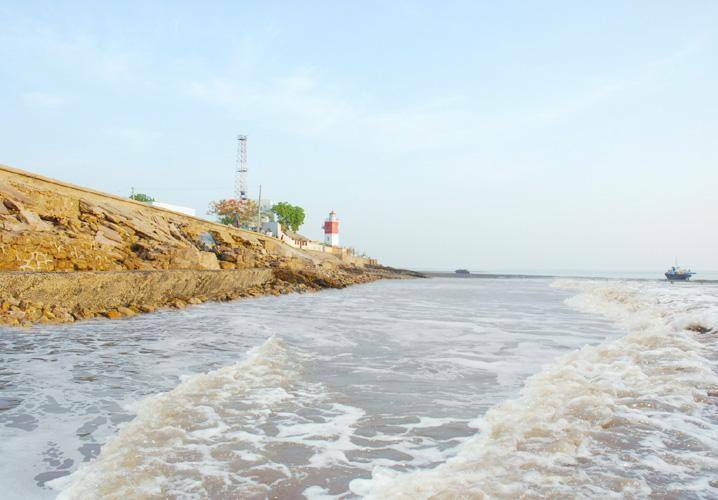 Another stunning beach in the city is Gopnath beach located 70 KMs away from Bhavnagar. Its stunning beauty will surely leave you mesmerized.